When I started this company, I only thought about running hiking, climbing and outdoor trips. But then I got asked by a few not-so-outdoorsy friends whether I would run a cultural trip. I wasn't sure. There are already so many companies running such trips! How would I cope leading a group through different cities and cultural/historical sites! Would I be bored? Would I be stressed? Would I miss the mountains! Would I screw up the whole thing! As Usual I decided not to overthink it and just give it a go. I got an itinerary, a plan and soon 10 people to join me on this trip including Emanuel the first person I could call a true friend after I moved out of Iran and my husband's ex boss and his wife! What was I thinking?! What if it goes wrong? I cannot screw up!! I was set for perfection! I was on a mission! I cannot lie as my normally-relaxed head was slightly restless and worried and in the days building up to the arrival of the team, I suffered from many sleepless nights and nightmares!! Losing clients in the busy bazaars! food poisening! awkward and unpleasant group dynamics! Wake up! Breathe!.. It will be fine! Go back to sleep!! To make things worse I also invited my parents along and before I knew it, another couple, dad's old friend got on board! Now I had 14 people including my dad who has got a reputation for getting tired and grumpy while travelling and just not coping with heat or crowd! Also would he be able to just relax and let his little girl lead the whole thing? Something he has never done before? Man.. little I knew that this would turn out to be nearly perfect. That the group proved to be the sweetest bunch you could ask for! That I would have the best driver ever and my guide Farid proved more popular than me (not allowed). Above all Dad was the happiest I have ever seen him over a period of one week with a stamina for sightseeing I never knew he had and my mum always smiled at me! She was proud!! From an IFMGA guide to an Archivist, I never had such a diverse range of jobs, background, and ages, yet everyone clicked, bonded and almost became a family. I witnessed humanity without boundaries. Little beautiful memories flicker by.. of Mahin (the Iranian lady accompanying us) holding Prof. Mecklenbrauker's hand helping him with the stairs. Of Jamshid (dad's friend) cooling the hot and sweaty face of another member with his red hand fan. Of rounds and rounds of sweets and nuts that were shared along the long road trips. of the sweet protectiveness and support 'I-am-there-for-you' and 'are-you-all-right' comments that I received when I suddenly found myself in an unpleasant situation and got upset (had nothing to do with the team rather with a bad service we got somewhere) Of the little eye contacts, smiles, pat on the back, nods of appreciation that were exchanged all along the way. Of all the little Farsi words the team had learned and used wherever they could. Of dreamy walks under beautiful tiled archways and domes in mosques, romantic strolls around the fountains with air infused with bitter lemon and pomegranate blossoms in the Persian gardens. of feeling small and humbled by the enormity and history that Persopolis oozes with. 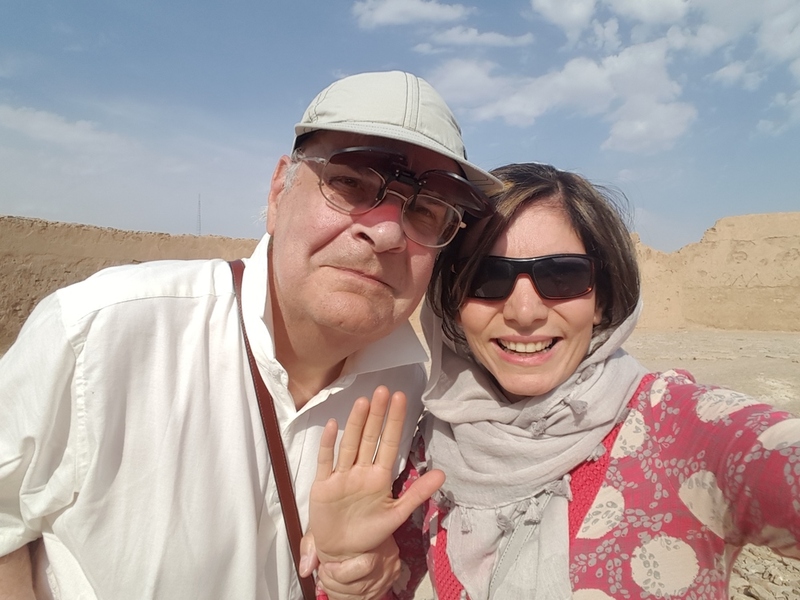 Of the smell of rose water, herbs and Saffron in the bazaars... and above all the hospitality, the openness, the smiles, the endless selfies and 'welcome to Iran' s that Iranians showered my team with. I am thankful and feel blessed to have been in the position I was. To have had the honour to orchestrate and be part of the amazing journey we had. To be able to make mum and dad proud and give something back to them, and my beloved country. 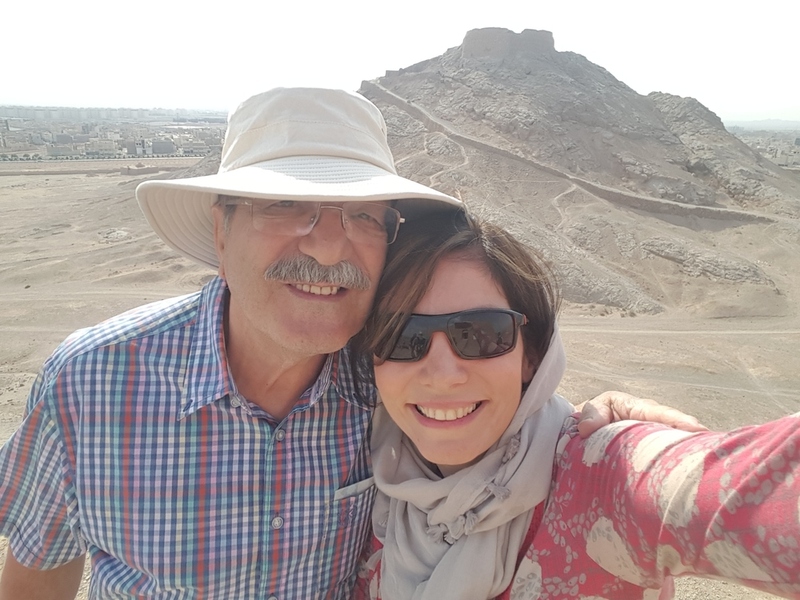 Conclusion : I will definitely run another cultural trip :) but apparently mum and dad, their friends, the driver and Farid the guide must be on it!! Not sure I am wanted as much!!! The last few months has been amazing. I went from being a 'no one' to 'someone'. Well maybe a small visible dot :) I managed to create something that wasn't there. Something that made a difference and God that is so rewarding. But the journey in between has been one hell of a roller-coaster and this is an honest account of how I felt all along. I did not set up this company just to make money. I went into this for a lot of reasons. I felt there was something deep in me that was precious. Something in my past, something in the passion I have had for the mountains of Iran. Something in my relationship with my dad. This thing is so deeply and emotionally rooted that can be powerful and can drive things forward. I noticed it. I let it take charge. I had just run my first expedition which was a huge success. So I immediately set off organizing the next one which was the Ski ascent of Damavand in April 2015. I then had an idea. I wanted to make a film about it. Had I ever done filming before? No. Did I know about cameras? No. But I have courage and confidence and a stupid belief that everything is possible. So I sheepishly wrote a message to Paul Diffley, an award winning British film maker (I know! What was I thinking!) The thing is I don't really think a lot. I just come up with ideas and set out doing it. So I wrote to him and asked if he had any tips for a regular mum of two who wants to go up Damavand in winter with her ski team (she doesn't even ski herself) and make a film! To cut the story short, two months later, I found myself in Iran with an official cameraman/director , sponsorship from Trek&Mountain, BMC and Ellis Brigham, Osprey Packs and Sherpa Adventure Gear and Paul Diffley as the producer! I could not quite believe what I had achieved! 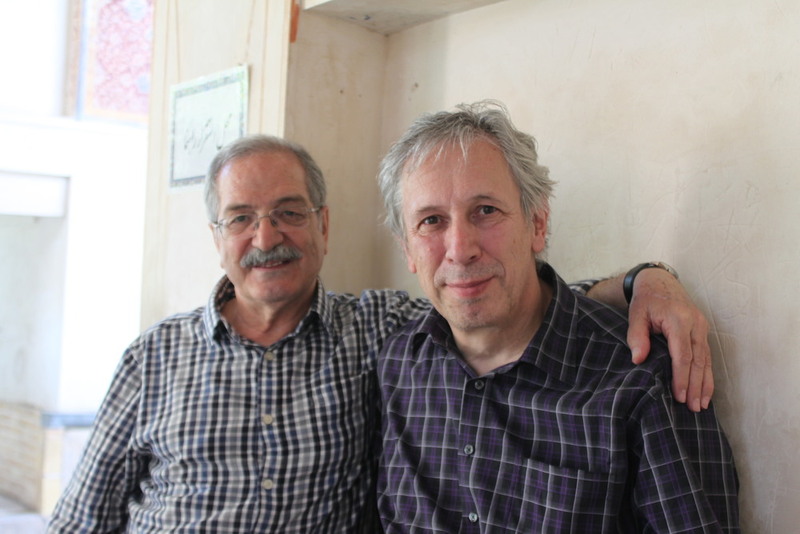 I had become associate producer of a short documentary film called 'Damavand: an Iranian Dream' which then showed at the BMC event at Kendal Mountain Film festival in November 2015. I suddenly found myself sitting in the front row in the screening, my parents sitting two rows behind me. Paul and Matt (the camera man) sitting next to me, Hazel Findley and Steve McClure, the climbing legends sitting nearby! OMG! I couldn't quite believe this was happening! Then my film showed. My heart rate hitting the roof. This is all about my life after all. I just wished I could turn and look at my dad's face. The film was in a way a tribute to him and that was the first time he was seeing it. I just closed my eyes and imagined how welled up he would be. What about mum. Was she proud of me? After the film, they asked us to come on to the stage. Dad got all tearful. Everyone had a lovely smile. I spotted my friends in the audience! I was so humbled and touched. I came back with my heart swollen! No! Bursting rather.. With Joy, excitement and hope!! I had done something nice! I had just introduced my dad to the world. His love for the mountains. I had shared our common love and passion and how that had changed my life. It was an appreciation! an acknowledgement. Secondly I had shown a different side to Iran. Something people don't normally hear or see. A brighter side. I had inspired some to visit. This was a pivotal point in this journey of exposure because suddenly I realized maybe my story is worth sharing. Maybe people would like to hear it. Maybe it does inspire people to follow their dreams, or to go visit this beautiful country. So I thought why don't I try and give a talk as well as show my film. Pretty soon, I had four talks lined up. The first was in Chamonix, in a little cafe/restaurant. Second was at Ellis Brigham in London where I work part time. Third was at BMC's London and SE area meeting and the fourth was at Royal Society of Asian Affairs. I was super excited and went for them! I was terrified and nervous, specially about the first one as it was abroad and I don't know many people in Chamonix. The talk was planned for 5.00 pm and I sat at the bar feeling cold to the bone and sweating at the same time because not many showed up. The couple of people who showed up were my own friends, and Chris and Amanda from Trek&Mountain who were super kind and supportive. I was disappointed though. This was the outdoor Mecca where I hoped for a bigger audience. I had brought raffle prizes kindly donated by my sponsors. No point doing a raffle now. There were only around 12 people. I felt disappointed. I felt a little foolish. After all, I had spent a bit of money for getting there and back. Was it really worth it? I gave the talk. Those who had come seemed to really enjoy it and I was so thankful they had come! I swallowed hard, tried to focus on quality time with friends and the future. Looking back, I feel people just didn't know about the talk. Perhaps it was not promoted enough. Who knows. Anyway, back in London, I had the Ellis Brigham talk coming up. Felt a bit nervous. What if people don't show up. How embarrassing would that be. I went in expecting nothing. My husband and my 9 year old son were coming and a couple of friends which was nice. But man, by 7pm the room was full! All chairs taken! People were standing in the back!! Whoop!! All the social media tags and mentions by the sponsors and the event organizers had made a huge difference. It's all about spreading the word after all. After a technical glitch, I set off with the talk. I was in my element. I felt I was on a mission. I had never felt so relaxed and comfortable speaking in front of a large audience. The atmosphere was amazing. This felt great. The reactions I got at the end were great. People came to me saying how they enjoyed the talk. How they loved the personal story and how that really changed their perception of Iran and hoped one day they'd go and visit!!! The talk at the BMC and the RSAA went equally well with a full house and an eager crowed who came to speak to me afterwards. Who emailed me their thoughts. Who shared their experiences and photos. 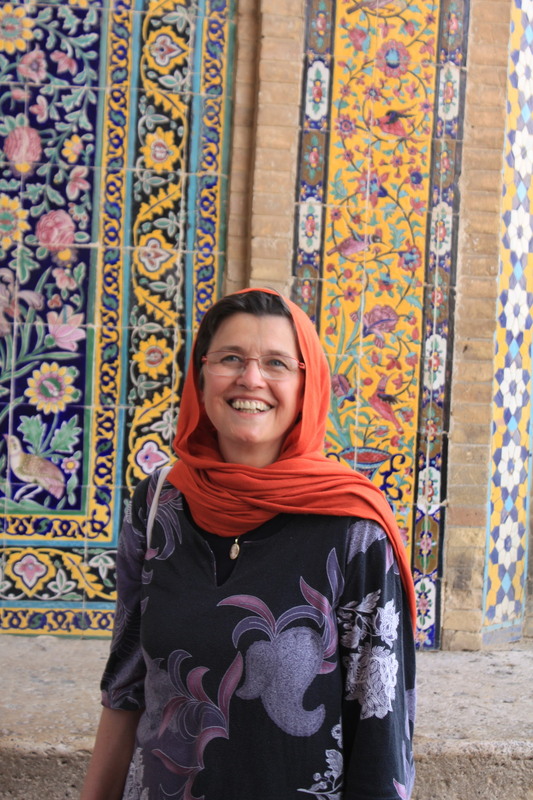 Since then more opportunities for talks and screening of the film has come up and as ever I have been enjoying sharing my story and telling people about Iran. I have been invited to be part of the panel on the Adventure for All event in LLanberis Mountain Film Fesival (LLAMFF) in Wales. My film has been selected for the LLAMFF, Chamonix Mountain Film Festival, the Slovanian Mountain Film Festival, Adventure Travel Film Festival in London and the Mountain Arts Film Festival up in the Lakes. I have been invited to give a talk at the Alpine Club and the Iran Society and potentially a few other venues. I feel ever so grateful for all these people and organizations for giving me a chance to expose Iran in a different light and share my story. My heart has filled once again with Joy. I feel I am giving a little something back to my beautiful country and its people and above all my dad who taught me to dream and follow my passion. Onwards and Upwards. Love and Peace to you all. Huge thanks to Ellis Brigham Mountain Sports, BMC, Trek&Mountain, Ospreypacks, Sherpa Adventure Gear, Hot Aches Productions. Here I am back from our third expedition to Damavand. Looking back, I feel relieved. Relieved because it was so close to not happening! Being a small company (well it’s just me) with not much money to advertise, and only relying on friends spreading the word, it’s been tough. I wanted it to happen so badly though! Every expedition is close to my heart. It gets born as an idea. It becomes a thing in planning and all I wait for is the actual expedition! When it happens, when I am finally on a flight going to Iran knowing I have a team joining me, that’s when it gets exciting! The months of planning, organizing, taking into consideration all the factors that come into play, numbers, dates, costs, hoping you have got it all planned to perfection. Until two months prior to departures, the team and the numbers were not quite fixed yet. One person had to pull out but luckily her space got filled by another friend so in the end, I had four people, the minimum with which we could run the expedition with. We got the visa approval numbers towards the end of July. As the numbers were small, I didn’t personally travel to Vienna for collecting the visas and instead posted the passports to a friend in Vienna who collected them on our behalf. By end of August, all was set and ready for our departure. The team was due to arrive on the 5th of September. I had flown to Tehran a few days early to prepare a few things in advance. The weather had been moody in Tehran. There had been snow and thunderstorm in the hills. Temperatures in Tehran were not too high either. So I did worry about the weather. The girls, Rachel, Sofia and Laura all arrived together in the early hours of the 5th followed by Paul who managed to get another flight after missing his connection in Vienna. I met them at our hotel in Tehran and after check-in and a little post flight rest, took them out for a walk in the nearby Sayee park and Vali Asr street, visiting the well known Tavazo shop (nuts and sweets) and Shah-re ketab (book shop). 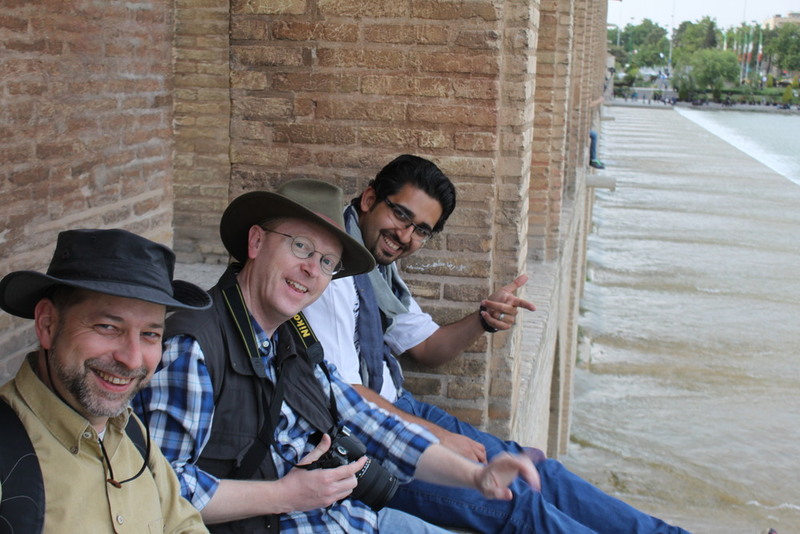 Next morning (day 2) we met with our guide Amin at the hotel and set out to the north of Tehran to visit the Sa’d Abad palace , home to the last king of Iran. As we entered the palace and were gently strolling past the first building or two, we came across a gathering by the building where Ostad Farshcian’s miniature paintings are exhibited. It seemed to be an opening ceremony. As we stood there to watch, we suddenly spotted Iran’s foreign minister, Javand Zarif, walking in to greet the old legend, Farshchian. We were all so excited to see him particularly after hearing so much about him in the news in the recent talks between Iran and the west. We were all pleasantly surprised by how relaxed the whole thing was and involved minimum formality and security. 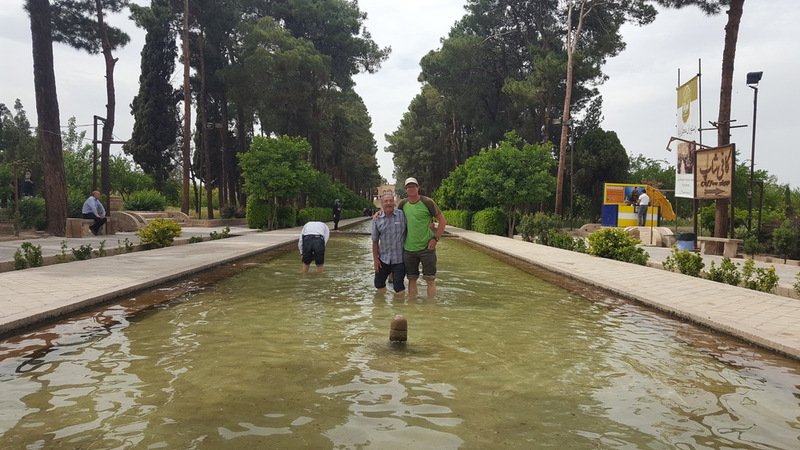 From the palace grounds, we also saw our immediate objective, the 3964m Tocal which we were planning to climb the next day in preparation for Damavand later in the week. After visiting the famous white palace, we drove to the base of Tochal where we started our three hour hike up to the Shirpala hut. The route starts from Darband square marked by a mountaineer’s statue and winds its way through traditional tea houses and riverside restaurants and food stalls until soon the valley opens up and Tehran drops open beneath the path. After an easy scramble up some rocks criss-crossing the stream that drains into Vali Asr street at its end, the hut comes into view. At 2700m, Sitting on a rocky outcrop with a huge terrace and a helipad, Shirpala is a great spot to enjoy the night views of Tehran. Here we met another team whose guide I knew and very soon we joined forces and the next morning, we all set out for the summit together. I knew this would be a test piece for the team. The temperatures would be warm enough to make the hike rather unpleasant. The altitude would definitely be felt. But also with an ascent of 1200m in one day and a descent all the way back to Tehran, this would be a tough day. We made slow and steady progress enjoying the ever expanding views of Tehran and the plains around this huge capital city. I think it’s amazing that right to the north of Tehran, the flat plains very suddenly rises to almost 4000m to form this magnificent peak at your doorstep enabling people to escape the heat in early spring and dash up the mountain for some skiing!!! But on a weekday in September, the mountain is quiet. No snow can be seen. Only the never ending slopes leading to the summit. At around 1.30 we got to the summit marked by a metal shelter. It was so calm, so warm and beautiful, we just couldn’t get ourselves to leave. We sat down in a circle, enjoyed our sandwiches and even treated ourselves to a snooze under the warm glow of the sun. I was very happy as the team had not experienced any discomfort with altitude and were acclimatizing really well. Finally we persuaded ourselves to head down. Now this was one bit I was not looking forward to. I knew the long walk down this mountain will definitely tire the team out. The original plan had been to take the cable car down but unfortunately it was closed. So we had to face it. Down we went, plodding our way back to the hut for a little rest before we go down the final bit. In the hut while my team were resting and eating up, I was drawn into a conversation with the other German team. They had really struggled today and although they had planned to do Damavand, they now thought it was impossible for them to do so. However, Gerald, one of their team members, felt strong and badly wanted to give it ago. As I could speak a bit of German I mediated between my guide Amin and the other team’s guide and decided to take Gerald on board with our team. He was very happy! So we continued with our walk down and had to descend in the dark for the last hour or two. Although it was hard on the knees and required care and a lot of energy, there was something beautiful about walking down in darkness. As the lights in the city flickered in the distance, the occasional barking of the sheep dogs, the scraping sound of the walking poles against rocks, the gentle rustling of the trees in the wind, the faint singing of our guide Amin, you feel quietly alive. That night we all slept well!! Next day (Day 4) was all about sightseeing! Not much rest for the tired legs as such! 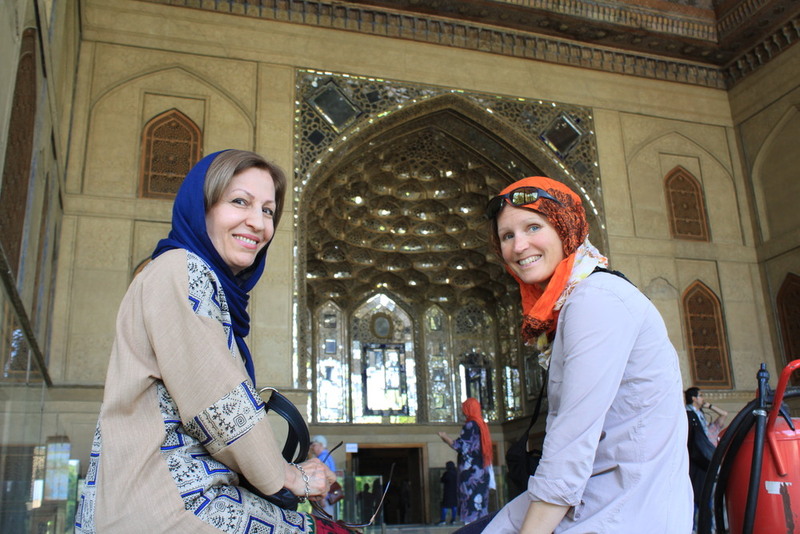 But who can resist the gentle stroll in Golestan palace, visiting its beautiful mirrored halls, the old wind catching towers, the marble tombs and thrones. Its quiet garden and fountains patrolled by its ever permanent residents, the cats. “Lets sit down and have a cup of tea” we said after seeing a traditional tea house in the palace grounds! “sorry we’re closed today as the Austrian ambassador is visiting tomorrow” said the owner. “I have got very special British guests here who are very tired and thirsty” I said. “Then come in” he said and the next thing, we’re being treated to lovely tea and cake like real special guests. Typical Iranian hospitality. Next place to visit is Tehran’s grand bazaar. But before, we stopped at the famous Shamshiri restaurant right outside. Lamb’s neck with Fava bean rice is a speciality here! Immediately a flag of Britain and Ireland lands on our table! Another gesture of hospitality! And now the bazaar! A labyrinth of alleys that even a seasoned bazaar might get lost in! We don’t delve deep! Just to get a little flavour of what the bazaar is like! From rows and rows of jewellery shops to stalls selling underwear (ironically sold by men!). Weary faces, curious smiles, crowds and crowds of shoppers, sellers, little boys pushing heavy trollies, young men playing and selling illegal CDs on their portable Cd players. Winding our way through, we popped out into the main square from where we hopped on our van and head to the National Jewellery museum. Here you can see the famous peacock throne which Iranian Nader shah stole from the rich Indian Mughuls along with the famous Kooh-e Noor Diamond which has now ended up in London. Time for tea again. This time in a café where a young beautiful girl served us Borage tea and coffee while we played a round of backgammon. That night, I took everyone to a restaurant where my family joined us to celebrate our Rachel’s very special birthday! Tomorrow the real adventure would begin. Day 5. Time to head to Damavand! After a little shopping in the morning, we all jump in our van and start our journey towards the mountain. We pick Amin up on our way and head north east towards the village of Polour. As our surroundings gently swells into rolling hills, the road bends its way around the hills until it reaches the pass marked by a holy shrine (Imam Zadeh Hashim) where we stopped for a little tea break. Rain stated falling and with it, a little concern in my head. What would the weather be like when we are on the mountain! Dying to see Damavand, I craned my head right after a tunnel where I knew it will come to view! It never stops amazing me as how huge it is even though two third of it was engulfed in clouds! Excitment kicked in! It’s happening! We pulled our van into the parking lot of Polour mountaineering federation (2270m) where we would spend the night. The building consists of various dormitory style rooms, bathrooms and toilets, a shared kitchen, a café/shop and an indoor and outdoor climbing wall. This is also where one gets the permit ($50) for Damavand. We all settled in our large dormitory quickly picking up the bed screeching the least. :) A very large polish team also arrived with huge packs!! Me and Amin busied ourselves with cooking and last minute purchases for the mountain. Another team arrived after summitting, their guide reporting of the bad weather and snow! Oh dear!! We’ll just have to see. Day 6. We wake up to a clear sky. Damavand is covered in snow down to the high hut (4200m). After breakfast, we jumped into two land rovers which took us up to the base camp, an hour away. Goosfand Sara as the base camp is called, is at 3200 and is marked by a mosque with a golden dome and in summer, it is normally very busy and often dirty. Not a place you’d want to stay. However the temperamental weather meant that even though it was a Thursday (the beginning of weekend in Iran) it was literally deserted. So Although we had originally planned to avoid the crowd and camp higher than basecamp, we decided to pitch our tents right by the base camp so we can enjoy the facility of running water, and a room to use for our meal in the evening. After setting up the camp, Amin settled down in the room in the mosque preparing our dinner, while I took the team up for a little acclimatization hike. We gently hiked up for 300m above the camp and sat down to enjoy the views and the peace as well as doing little Tai Chi with master Sofia J How I love this section of our route. The volcanic rocks make ideal little spots to sit down, lean back and take it all in. The smell of oregano and wild mint infused with the fresh mountain air. The walkie talkie coughs into life! Amin reminds me that it’s time to come back down! Dinner will be ready soon! If only I could be called for dinner like that every time J Aftera lovely meal of Spagetti Bolognese, we crawl into our tents and settle down for bed. Me and Rachel in one tent. Sofia and Laura in another. Gerald, the German guy, in his tent, and Paul and Amin decide to sleep in the mosque. It was a peaceful night. Day 7: Around 7 oclock I wake up to a beautiful sunny morning. This is the first time we saw Damavand beautifully. We were all out taking photos. The golden dome of the mosque shining in the morning light. The valley engulfed in dancing clouds. After breakfast, we packed up the camp, and left our big duffles and packs for the mules to carry up to the high hut while we started our hike up to Bargah-e Sevvom (high hut). The first half of the hike is rather gentle, crossing a river bed once or twice through meadows and rocks. After the second river crossing, the path gets steeper zigzagging its way to the side of a ridge that would take us to the high hut. We took regular short breaks, fuelling as we go with nuts, juice and biscuits. As it was Friday, we met a lot of Iranian groups coming down the mountain. They were all very friendly, often curious asking where the team were from, wishing us luck. After 4 hours of a slow and steady hike, the hut came into view. Just below the snowline, sitting on a little plateau. The team were starting to feel the altitude. There was definitely more huffing and puffing! But there we were. At 4200m, this was the highest they had ever been and apart from being a little out of breath, none of the team were suffering from any signs of altitude sickness which was great. It was crowded inside the hut. The polish team had occupied half of the communal room. There were a few Iranians sleeping in one corner. Some Hungarians sleeping in another. We found a few chairs for the team to sit on while me and Amin shuffled a few things around and made space for a few tables and chairs. We had booked the private 6 bed room for our team which was still occupied as the team who had their stuff in it had still not returned from the summit. More and more people came down from the summit, all exhausted, all complaining about the wind and the cold and the snowy conditions. Finally our room was emptied and the team could settle down and make themselves at home as we would spend the next three nights here. The hut remained busy that night as a lot of climbers were too tired that night to go down after their summit attempt. Some were even sleeping in the corridors. Day 9: At 3.30 I jolt up in bed, heart racing. It’s time. I crawled out of the warm sleeping bag and busied myself with the usual summit day routine, checking stuff in my pack. There were thunderstorms early in the night but now it was calm. The sky was clear. The stars everywhere. We knew the weather forecast and that was a slight concern. It was going to be like every other day. Snow showers in the afternoon. We decided to head up and at the first sign of bad weather, head back. I hadn’t slept at all the night before. I felt my stomach turn. I wasn’t hungry. I knew everyone else felt pretty much the same. I forced a little bread down with some sweet tea and prepared to leave. The Polish team who had also consulted with us about the weather had already left. We set out around 4.30 and could see their headtorches an hour ahead of us. There was fresh snow on the ground but the air was so calm! My hands were cold (as always). Normally I find it the first hour of the summit day really hard, but that day I felt light and easy. I wasn’t out of breath. I was happy to be on the move. We had a few breaks on our way as the sun rose to the east and Damavand’s shadow fell on the plains to the west and over Tehran. We plodded on and on, the steps getting shorter, breaths getting louder, breaks getting more frequent. Yet the pace was good and steady. Soon we reached 5000m and passed the frozen waterfall to our right. We had one final steep 150m before we reached the south summit and the final push over the summit slope which is dotted with fuming sulphur vents. We noticed a great dark cloud hovering to the east but it was very slow moving, almost still. The summit was completely sunny. We were almost there. We reached the south summit and left our packs by a pole to go light and fast. Amin lead the way through the vents. This last section is always hard. It feels like it never ends. The Polish team had reached the top by now and were heading down. Then out of blue, I felt a snowflake on my face and some clouds rolled in. Amin announced that we should speed up and would not have more than 2 mins on the summit. I felt/heard a little concern. We must have gone for only 5 more minutes when we were completely engulfed in clouds. I looked at my watch. It read 5511m. Me and Amin decided to give up on the summit and head down as quickly as possible. We did not want to take any chances. The team immediately agreed apart from Gerald who was a little disappointed. But even he realized how serious the situation got after 5 or 10 minutes when we heard the first lightening! Right next to the Polish team who had huddled together as if to discuss something, Amin was standing, probably 5 meters below me and all of a sudden I saw him throwing his walking pole. He then shouted at me to tell everyone to throw their walking poles away! I shouted back at everyone urging everyone to do some immediately! Later I realized he hadn’t thrown his poles but rather was hit by a lightening which shot his pole out of his hand along with his glove. Thank God he wasn’t hurt! He then orchestrated an epic walk down! He shouted out, asking me to take the team down the snow gully below the south summit, keeping 5 or 6 meters distance from each other. We had to throw any metal object we had on us and as soon as we heard a thunder, we would kneel down. He himself went to fetch the packs. He threw the packs towards us and ran ahead down navigating through the white out. I was damn scared. The hood of my down jacket was buzzing with electricity!! I realized I couldn’t find my sunglasses. I thought they might have dropped! The snow blizzard was in full swing now. Amin immediately took off his own glasses and shouted at me to put them on! I had no choice! I felt terrible! I urged the team to run down as fast as they can. There was a lot of soft powdery snow and the gully wasn’t too steep so a slip wasn’t consequential. I just wanted my team down!!! Amin would run down, kneel somewhere safe and wait for me to confirm all team members are coming so he can set off again. I had to make sure everyone was following me with a safe distance between us. If two of us were too close and a lightning hit one, the other would be hit too! When the thunderstorm ceased, I just sat down and let my head drop in my hand… That was so scary. I was so thankful for Amin for bringing us safely down. By this point, Sofia, Rachel and Paul had mastered the art of bum sliding! It was the fastest and safest way down! In an unbelievable one hour, my team were safely back just above the hut! When that came into view, the relief I felt was immense. That was one epic walk out! Thank God everyone was safe and thanks to the bum sliding, the team were not even tired. We were in the hut sipping hot soup at 2.30!!!! The Polish team weren’t back until 5.00! What a day! Day 10: I woke up to a sunny morning! It was my birthday! I smiled at the secret thought. I was happy. I felt relieved but also sad that it’s all over but once again, I have to walk down this beautiful mountain which never stops surprising me. I wanted to take my time. There was no rush! We pottered around the hut, having a lazy breakfast. After a random phone call at breakfast, everyone suddenly started singing happy birthday for me!! A lovely surprise! After packing and organizing we finally started our walk down at 10. Very soon Damavand’s summit was engulfed in clouds again but where we were, there was only sunshine and a gentle pleasant breeze. The quiet and the peace occasionally disturbed by two eager young Iranians singing folk songs on their way down. Everything seemed pleasant!! I have a terrible voice but even I wanted to sing and I did, only so I can hear! :) As we got nearer the base camp, I felt I wanted to fly. I apologized to the team and picked up the pace. I started running, jumping and hopping over little rocks. That feeling of being light and feathery, being one with nature and above all the freedom… The rain started falling as we crawled into our landrovers waiting for us. We looked back and bid farewell to the majestic Damavand. I felt it smile. It definitely gave me a wink! So there we are! Another expedition. Another set of memories engraved in our minds. Every time, I ask myself if I should accompany my expeditions each time. I am so glad I did and I intend to do so as much as possible! Coz every one of them is different! Each Is amazing in different ways. The friendships that are made. The comradeships that are built. Memories that will never be forgotten. As I write these last few words, I can’t help but smile and in my heart, be grateful that it happened. Thanks to everyone who made it possible and thanks to my incredible team who fought on, pushed themselves, and always smiled and never failed to miss an opportunity to joke and giggle! And above all, thanks to the amazing Amin who worked super hard, looked after us and kept us all safe!